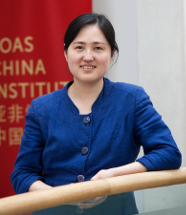 Dr Jieyu Liu is Deputy Director at the SOAS China Institute. Her research interests include gender, sexuality, family and generation in China. She is the author of Gender and Work in Urban China (Routledge, 2007), Gender, Sexuality and Power in Chinese Companies (Palgrave, 2016), and is co-editor of East Asian Sexualities (Zed Books, 2008). Dr Liu leads a team of Postdoctoral Researchers and local Research Assistants in mainland China, Taiwan and Hong Kong. 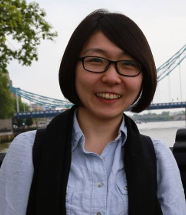 Dr Yung-Chen Yuan received her PhD in Sociology from University of Bristol. Her research interests in migration, nationalism, ethnicity, and national and ethnic identity. Her research is specifically on how the ordinary people reproduce and practice identity in their everyday lives. 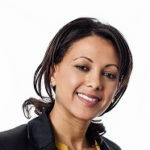 Dr Eona Bell was awarded a PhD in social anthropology from the LSE in 2012 for research on ethnic group-making and cultural transmission in the everyday lives of Hong Kong Chinese families living in Scotland. Dr Jiayu Zhang received her PhD in Gender Studies from the Chinese University of Hong Kong in 2013. Her research interests include gender policy and law in China, gender equality ideology, sexuality and human rights in Chinese societies. This project has received funding from the European Research Council (ERC) under the European Union’s Horizon 2020 research and innovation programme (grant agreement No. 640488). Content published by Intimacy is licensed under a Creative Commons Attribution 4.0 International license (CC BY 4.0). This license allows you to share, copy, distribute and transmit such content; to adapt the text and to make commercial use of the text providing attribution is made to the author (but not in any way that suggests that they endorse you or your use of the work). Attribute the work appropriately (including both author and title and credit “Intimacy funded by the European Research Council”).